We all remembered this weekend the moon landing, upon news of Neil Armstrong’s death. What we didn’t focus on is what would have happened if Armstrong and Buzz Aldrin were stranded. Audio of Safire discussing the speech is available here. It’s always interesting to be able to look back and see what the contingency plans were if something were to have gone differently than it did. With a national venture as important to the American Psyche as the first Moon landing it would have been even more important to have a contingency speech in hand to reassure the public that even though the US had lost great heroes, that all was not lost for naught, but in the pursuit of knowledge. That is a very worthwhile read. Take a few minutes. Apollo 13 showed the ever-present danger after so many successes made it all look so easy. Your Ike reference was the first thing that occurred to me, too. For Eisenhower, the consequences would have been personally dire, as well: transferred home in disgrace, to retire as a colonel, his “permanent rank.” All those stars were “temporary” wartime ranks, not becoming permanent until 1946. Come what may, I doubt The One would bear similar consequences for his actions. Let’s not forget AS-204, renamed Apollo 1. in honor of Lt. Col. Virgil I. “Gus” Grissom, Lt. Col. Edward H. White, and Roger B. Chaffee who perished in a fire that was wholly avoidable. These men were sealed into a capsule that was an accident waiting to happen, and they knew it. It was as much a failure of caution and leadership as it was a national tragedy. Hubris the Greeks called it. They were explorers and brave men. You’d never get me up in a spacecraft. The engineers and scientists created unbelievably good equipment. And everyone understood the risks. It’s too bad NASA went PC. They killed one mom (Christa McAuliffe) and another woman in ’86. Then they killed another mom (Laurel Clark) and another woman in 2003. Once was bad enough, but twice?! Now NASA works on Muslim outreach. Sick. “In ancient days, men looked at stars and saw their heroes in the constellations. In modern times, we do much the same, but our heroes are epic men of flesh and blood. ^^^”perfectly OK” LOL Thats the funniest thing Ive read in a week. Im perfectly OK and need campaign cash fast or it will be your faults if we dont go back. Friend, send $3 now and you’ll be entered in a sweepstakes to go comfort the grieving families in person. Now THAT’S funny! One of those funny-because-it’s-true things. This level of pathology is just sad. Or it would be if it were not inflicted on the entire nation. In Obama’s obnoxious and disturbing ‘Armstrong Memorial,’ someone should Photoshop in the fictional constellation of ‘Obama’ in the sky where Obama is looking. 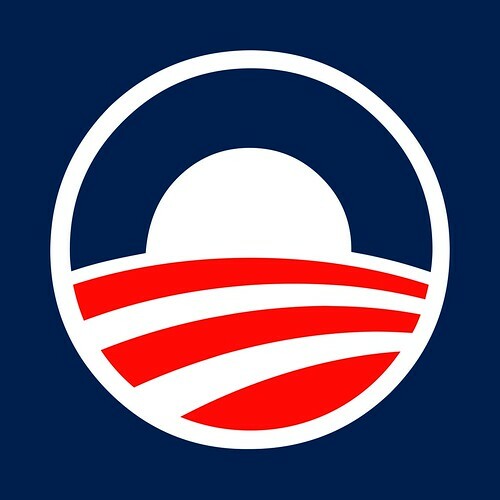 I’m surprised they didn’t photoshop the moon to look like Obama’s “O” logo. It was a privilege to go to the moon. But Armstrong absolutely knew the risks of what he was doing, knew how easily something could go wrong and performed his mission with bravery and competency. And after he returned, he acted with grace and class. Armstrong was a hero in every sense of that word. Maybe Obama can share with the American people the thrill of watching the Apollo moon landing on Indonesian television. In between his mother denouncing the United States and saying Americans were not her people. Funny how it is always about him. Anyone know why Obama didn’t direct flags to be flown at half mast for the loss of an American hero? Or does Obama not have time for a dissenter of his space policy? On Friday, when the funeral is held. Remember that the LEM was an experimental aircraft that could not be tested – we weren’t positive what the surface of the moon would be like, and there was no way to try and fly in 1/6 gravity except to go to the moon. So the Eagle was the highest-profile test flight ever. To save weight, it was a thin-skinned vehicle just barely big enough for Armstrong and Aldrin to stand up together inside. Fuel was calculated down to the ounce, and there was almost no margin for error at all – had Aldrin used just a touch too much in setting her down, they would not have had enough fuel to escape the moon’s gravity, and Collins would be riding home alone. Buzz Adrin did something on the moon that was not transmitted publicly that July day in 1969 and just recently was placed on Youtube. Enjoy this 2 minutes of real American heroes! I think a number of us thought of Ike’s speech. and a single flag unfurled.